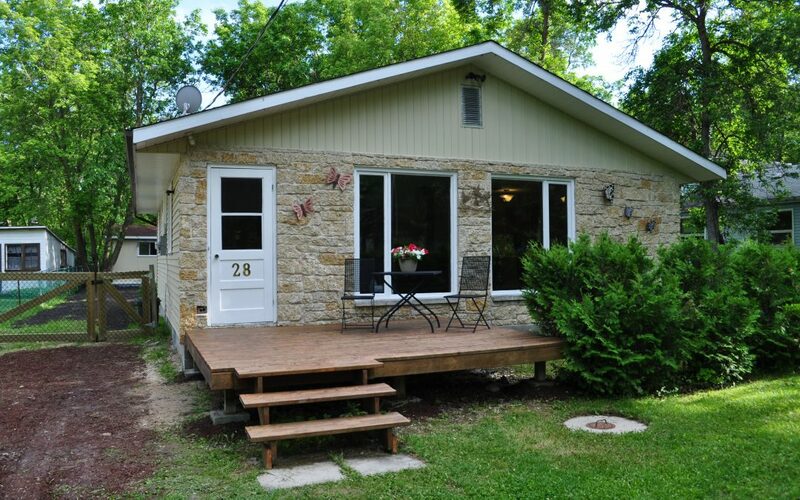 Year round cottage located just two blocks from a sandy beach. Very well cared for home with open concept kitchen, living room and dining area. New flooring and paint throughout. Bathroom has been renovated nicely, laundry hookups just off the kitchen. Three good size bedrooms. Master bedroom has patio doors leading to new pressure treated deck overlooking a big south facing back yard. Back yard is fully fenced with a wood shed, guest house and a workshop. Cottage has solid foundation and crawlspace has recently been maintained with new sand installed for proper drainage. Come see this well cared for and well priced year round home with wood burning stove, electric heat and tri-pane windows.